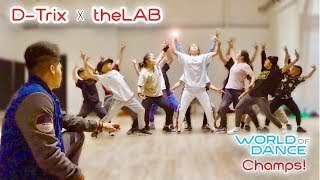 The Lab dances to “Lean Back”, a Terror Squad classic. These kids go fucken hard af!!!!! Talent all around that stage!!!!!! Logan’s hair flip at the end! I love her so much! I love everything about this! logan being so angry and amazing, leilani losing a shoe and acting like nothings wrong, tre being perfectly in sync with the drop and his landing in the beginning! What is the song called?? Their unison in this performance was next level! Dont tell me that i'm the only one who saw that girl braking those headphones. First of all, who choreographed this? Badassssssszzzzzz...love it! Ok but why the little five year old boys on the team hitting as hard as an adult though? Season 3 is under way and yet here I am back to season 2 watching the best of The Lab! The Lab & The Fabulous Sisters were my favorite in the WOD..
That girl at 1:10-1:15 is my MoOd. 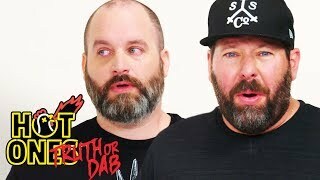 Who knows the outro song’s name? 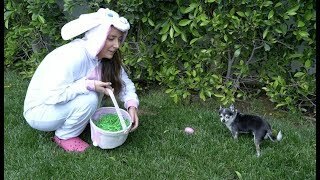 Did anyone else notice that when she removed her hair tie and pushed her hair back that guy from LilKillaz pushed his hair back too at 1:12-1:13? is no one gon talk bout that girls hair flip at the end ? like wake up yalllll . ok now who lost his shoe on stage? They are so on point and vicious.....I just feel bad see'ing the other jr competitors get demolished. A lot of them come from rough backgrounds and steel sharpens steel when it comes to competitiveness. What was the name of girl? Music ( the lab ) ? Where can I donate for this crew? Para sakin pag sumali pilipinas dito sa wod. Papanisin ng mga batang toh. Sa pinas kasi halos ginagaya lang ung sa ibang bansa. What type of shoes are they wearing !? Does nobody else get Kinjaz vibes? What's thr title of their music dance? I might be crazy .that girl do round head with long hair..
Ok i will make my hair white, probably that will help me at flips. 1.3k👎??? Wow you shitting me. 1:09 what is the flip???? Am I the only one that noticed the tension between the lab and the other group they were going against?? The hair flip to the other team was the nail in the coffin. He stoped time or so magical thing of magigy.